It's the American holiday of Thanksgiving, and a good time to stop and reflect on the past year. Our family returned from a year in Namibia in January, and we are constantly thinking about things that contrast between Nebraska and Namibia. 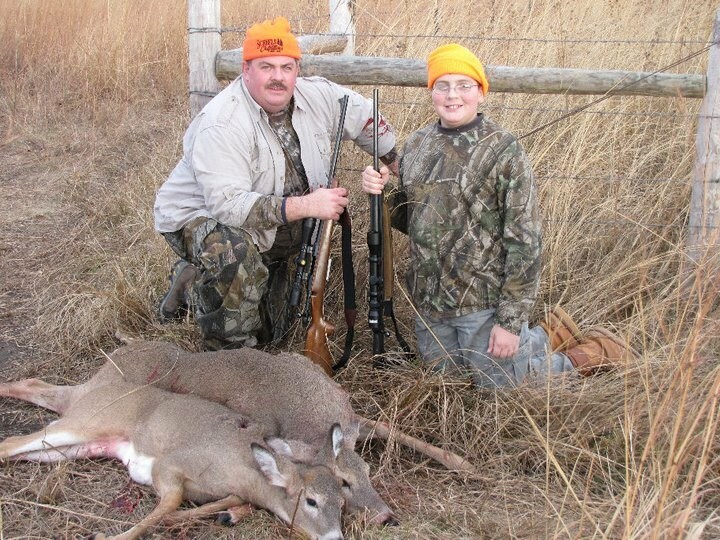 Just two weeks ago, I took my son, Tristan, on his first deer hunt. We joined some colleagues from my department at the University, and hunted on some land owned by an NGO---it was during 'buck' deer season, but we were limited to antlerless deer by the NGO, to help with population control. I'm thankful to live in a country where it is fairly easy for Joe Public to take his/her son/daughter hunting for a weekend. In Namibia, there were no public hunting areas, and we had to pay to access private hunting lands. Hunting in Namibia was a thrilling experience, but I can see that it would be very different to live there without the access to hunting lands. Just not the same. Tristan and I had a great morning, watching the sun come up over the Platte River. We watched ducks and geese fly up and down the river. We were perched on a little hill, and we could see deer walking across the river and through a large meadow that surrounded us (most far out of range). Tristan had a couple opportunities to learn how quickly deer can turn and run. I remember (not very many years ago) my first deer hunt, and it takes a while to learn the behavior of the species. During a mid-morning break, we were walking back to our truck to meet our companions. I told Tristan to freeze, as I saw a deer bounding through some tall grass in the distance. Soon, we realized it was a buck so we put our guns down (no bucks on this hunt). It kept coming closer and closer...until it jumped a fence and literally stood 20-25 feet in front of us, nosing the wind. What a great experience---both the thrill of being close to a wonderful creature, and a lesson that when you stand still, with the wind at your face, you're pretty much invisible to deer. In the afternoon, Tristan finally got a shot at a nice doe. He had taken lots of shooting practice, and it paid off. His Dad's shot was not quite as perfect, but we ended up with a couple deer on the ground in a space of 15 yards. Everyone's hunting experience is different, but I wanted to share my hunting tradition with Tristan, including the 'after shot' tradition. As we stood by our deer, next to the Platte River, we reflected on how thankful we were for the opportunity to hunt. Per my tradition, we also expressed our thanks for the life of the deer, the land that supported it, and the meat that it would provide us. And then, we started the long process of field dressing and, eventually, butchering. At that point, it was nice to have friends. What a wonderful day, starting with a sunrise with stiff, cold wind in our face. The buck that taught good lessons. The whispers back and forth as we planned our strategy. And, eventual success in the hunt. And, friends to share it with. Lots to be thankful for. Happy Thanksgiving! How do we show 'science' to the public? Science, in general...but including wildlife science, is struggling to find a way to communicate important information to the public. Whether the topic is climate change or a state-wide issue, coming off as a 'white lab coat stiff' is not a good way to communicate. I've spent the better part of my career trying to explain research results of much smarter people (than me) to the public. Or, trying to train my colleagues to communicate better. Here's a great example of a way to use modern technology (i.e., YouTube) to bring field research onto the public's IPAD. The host is funny, and the general point about monitoring black bears comes through. When Montanans voted Tuesday to abolish the outfitter set-aside big game licenses, they declared for all to see how seriously they take their hunting privileges. Wildlife management is working through an interesting issue at the moment: how to 'value' wildlife. The history of wildlife management in North America includes a reaction to unregulated market hunting (i.e., bison, passenger pigeons, waterfowl, herons). This reaction led to a general doctrine of removing value from wildlife to protect them, which worked. Many species recovered. The US gives 'ownership' of wildlife to the State, so that all residents of a state (quite literally) own all wildlife. And, the state government (usually through a wildlife management agency) is charged with managing wildlife in the state as a public trust...in the interest of the residents of the state. Now, over 100 years later, a new paradigm has emerged---using direct value to manage wildlife. The idea is that private landowners often control much of the state's habitat, so the state can encourage management for wildlife if the landowner benefits from the wildlife. Texas, for example, has bitten on this idea and is chewing hard. Game farms, with fences that prohibit movements to neighboring lands, litter the landscape. Hunters with cash can find highly managed areas to have the hunt of a lifetime. The public resource is being used by private individuals---so, you can see why some don't like this trend. Outfitters and guides fill a grey niche in the new paradigm. These entrepreneurs bring tourism to a state, and engage many out-of-state hunters. These hunters pay higher rates for hunting licenses, which benefits habitat conservation and research. Some outfitters/guides are landowners. Others operate with leases on private and public land. But, you can probably imagine the quandary of being an outfitter--your business only works if your hunters have licenses. For some species, especially big game like elk, bear, deer, or pronghorn antelope, licenses are limited...if the outfitter's clients miss the opportunity to grab a license, the outfitter can't sell a hunt. So, to ensure that outfitters will be able to be viable businesses, some states have begun to provide outfitters with a guaranteed set of permits. This, of course, makes resident hunters scramble even harder for fewer permits that are left for them. In the past election, a ballot initiative in Montana changed the way that permits are given out in that state. Now, outfitters and their clients are in the pool with everyone---no special treatment. As the above newspaper article notes: "This was another chapter in the continuing struggle over commercialization of a public resource." What will change? Well, Montana residents have made their point pretty clear. They will be able to access their state's wildlife. But, this also means that many outfitters will probably go out of business. It also means lower incoming revenues for the state wildlife agency, which would make more money from out-of-state hunters than in-state hunters. Stay tuned to this issue. It may be clear that Montanans do not want to be like Texans, but there is more of this story to play out, throughout the US. And, in Montana. 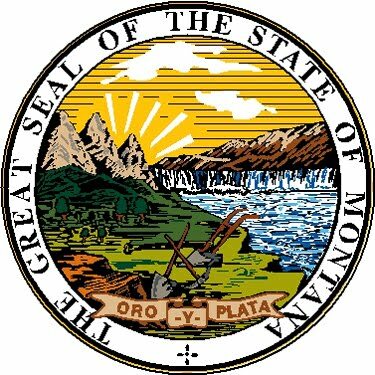 A parting note: the motto of the state of Montana is "Oro y plata". Translation: gold and silver. My bet is that gold and silver will have something to do with how this issue is resolved!